Ladbrokes Coral shares fell by more than four per cent on Thursday after the bookmaker revealed tough conditions on the high street were hitting their betting shops. While the Cheltenham Festival had gone in their favour, the company said, the victory of One For Arthur in the Grand National along with punter-friendly football results had also pegged them back. Chief executive Jim Mullen said trading for the year to April 23 had been "in line with our expectations". Group net revenue was up five percent, while digital net revenue rose by 22 per cent. Mullen added: "We see encouraging trends in digital sportsbook and gaming with continued enthusiasm for our multichannel products in all our major markets and over a million customers now signed up in the UK alone." However, net revenue in British betting shops was down two per cent. Gaming machine net revenue rose by just one per cent, while amounts staked over the counter (OTC) were down seven per cent. "UK retail OTC stakes continue to exhibit the negative trends reported since the middle of 2016, driven by the challenging UK high street environment and our own focus on the multichannel opportunity," Mullen said. Sports results in Britain "gave with one hand and took with the other," Mullen added. One For Arthur's victory in the Grand National had broken a five-year year run of bookmaker-friendly results in the race, although the meeting as a whole was kind to bookmakers, helped by the defeats of old favourites like Cue Card and On The Fringe. Mullen added: "We are probably marginally ahead overall. As previously communicated, sports results in Italy were unusually bad in February and March and have had an adverse impact on our Eurobet business, but pleasingly results have been a lot stronger in April." 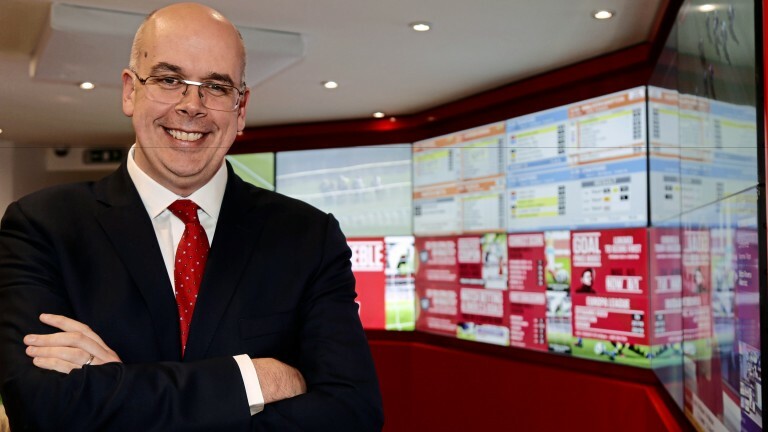 Ladbrokes Coral, along with other betting shop operators, are awaiting the results of the government's review of gaming machine stakes and prizes which have been delayed by the general election. The company said they were "minded to agree" with the general view that the next stage of the consultation would come in the third quarter of the year. Analyst Gavin Kelleher of Goodbody said: "The triennial review remains a key overhang in terms of the investment case. However, the group continues to execute well on factors that are within its control." Nevertheless at close of trading Ladbrokes Coral's share price was down 5.5p at 122.9p.